I'm the captioning sponsor for the Adult Musicians with Hearing Loss web conference, to be held on Saturday, September 7th, 2013. I finish my weekly recorder lesson at noon, and then I'll have to ride my scooter quickly downhill to my home office in order to get setup in time for sound check, so it'll be a very musical day. I'm really looking forward to this conference. I've captioned for AAMHL for several years now, both onsite and remotely, and they always put together top quality events. So if you love music and you've either got hearing loss or you work/play with people who have hearing loss (and specifically, for this conference, cochlear implants, though I'm sure plenty of the information will be relevant for non-CI users as well), feel free to register for the conference! The Association of Adult Musicians with Hearing Loss (AAMHL) is pleased to announce our second web conference on September 7, 2013, featuring presentations on listening and making music with a hearing loss when you are a cochlear implant user. The intended audience is for consumers, musicians, music teachers who are interested in the effects of cochlear implantation on music perception and music performance. We will be using voice-over IP (no calling in via phone) and captioning will be provided for this online event. Wendy Cheng is the founder of AAMHL, and is also studying viola and music theory while raising two musical daughters. She hopes to obtain a music degree someday. Dr. Xin Luo is an assistant professor in the Department of Speech and Hearing Sciences at Purdue University. Prior to this appointment, he worked as a post-doctorate research fellow at the House Ear Institute. Dr. Luo has authored many publication and studies on pitch perception and cochlear implants. Dr. Kate Gfeller holds a joint appointment at the University of Iowa's Music Therapy department and the Department of Communication Sciences and Disorders. She is currently the principal investigator of the Music Perception Project at the University of Cochlear Implant Clinics. 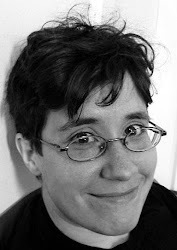 Virginia (Ginny) Driscoll is an investigator at the University of Iowa's Music Perception Project. She received her masters in music therapy at the University of Iowa in 2006. Richard Reed is a composer, musician and cochlear implant advocate. Before losing his hearing to antibiotics, Richard played piano and Hammond organ with Junior Walk and the All Starts, Otis Rush, Mark Cutler, and many other R&B, Blues and Rock and Roll bands. Unable to appreciate music for almost ten years, Richard underwent CI surgery in 2001. Richard is certified by the Hearing Loss Association of America and Gallaudet University as a hearing loss specialist. Richard is a guest lecturer at universities, symposiums and research facilities across the globe. His experiential knowledge help researchers improve the fidelity to hearing loss technologies. Blue O'Connell is a music practitioner at the University of Virginia's Medical Center, a songwriter, and avid cochlear implant user. She resides in the Charlottesville, Virginia area where she gives concerts in coffeehouse settings. Lisa Jordan received her bachelor's degree in music education from West Virginia University in 2004. While working as a high school band director, she began to lose her hearing, and opted to receive bilateral cochlear implants in 2012. Lisa has even performed her oboe and flute in musical ensembles post-implant. Sara Gould began playing saxophone at the age of 9. She continued playing all 4 kinds of saxophones even after her hearing loss progress to the profound stage. She received her first cochlear implant in September 2009 and her second implant in December 2009. She currently resides in Charlottesville, Virginia, where she plays with several saxophone ensembles.